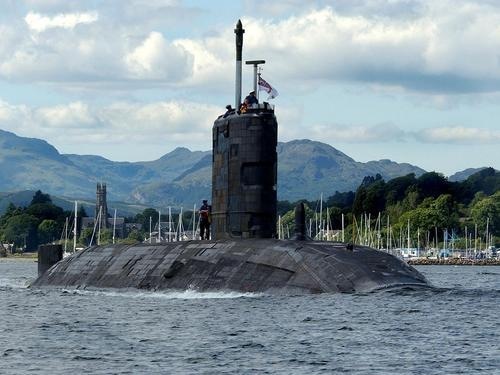 Subsequent to a fire onboard nuclear powered aircraft carrier USS George Washington on May 22, now Royal Navy’s nuclear powered submarine HMS Superb is presently unsafe to dive after striking an underwater pinnacle on May 26. The incident happened during a dived passage through the northern Red Sea. HMS Superb, built by Vickers Shipbuilding at Barrow, commissioned in 1976, is the third of the Swiftsure Class Attack Submarines of Royal Navy. In fact Swiftsure Class Attack Submarines are capable of circumnavigating the globe underwater without any need to come to the surface. An investigation on the grounding is underway and a full Board of Inquiry will be conducted in due course. Here is a photograph of HMS Superb. More photos of HMS Superb are available here. Read more from royalnavy. Here is another episode of a sailor found sleeping in watch onboard HMS Superb. But this is not linked to grounding incident. Read more from telegraph. Having carried out an initial inspection in Aqaba, Jordan to ensure her safe passage of the Suez canal, the submarine arrived at the NATO facility at Souda Bay, Crete on June 09 for a further assessment and essential repair in order to complete the rest of her passage back to the UK. Read more from royal-navy. 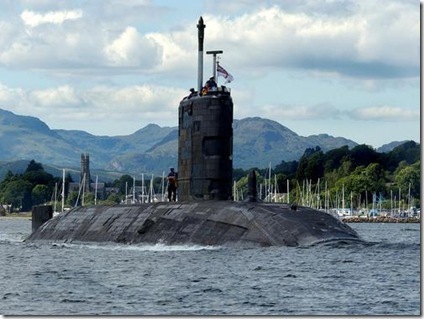 HMS Superb has reached Devonport naval base in Plymouth under her own power. Further course of action is to be decided. Read more from Reuters, UK.